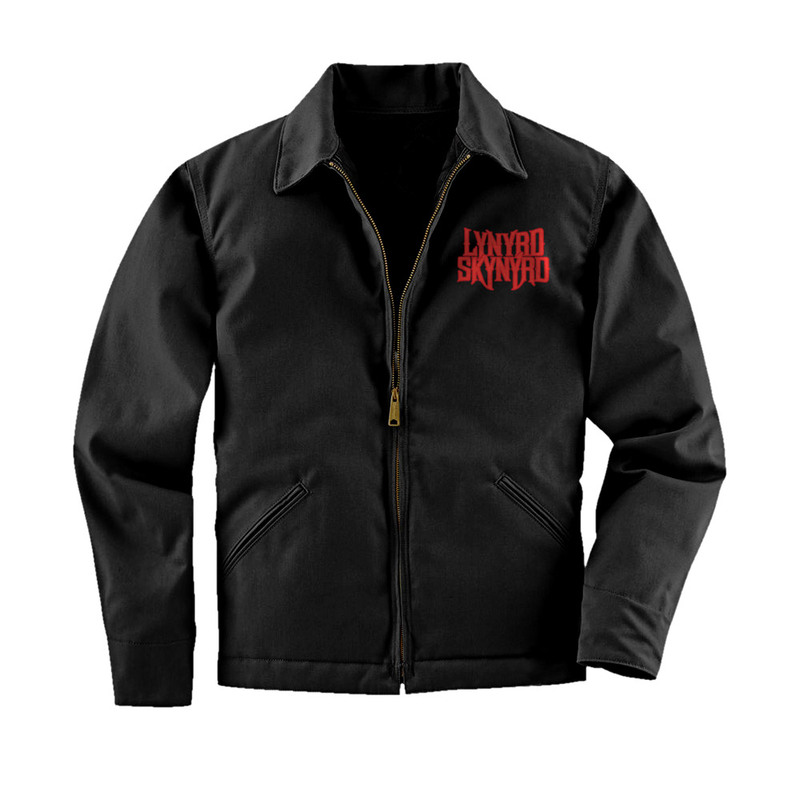 View Larger Lynyrd Skynyrd Dickies Work Jacket This black work jacket has the Lynyrd Skynyrd band logo embroidered on the front of one of Dickies most popular jackets, the 'Quilt Lined Eisenhower'. The jacket is lightweight but warm, has slash front pockets, a roomy inside pocket and a pencil pocket on left sleeve. It also features a heavy duty brass zipper front closure and adjustable tabs at the waistband. The Shell is 65/35 Poly/Cotton the lining is 100% nylon taffeta quilted to 100% polyurethane foam.